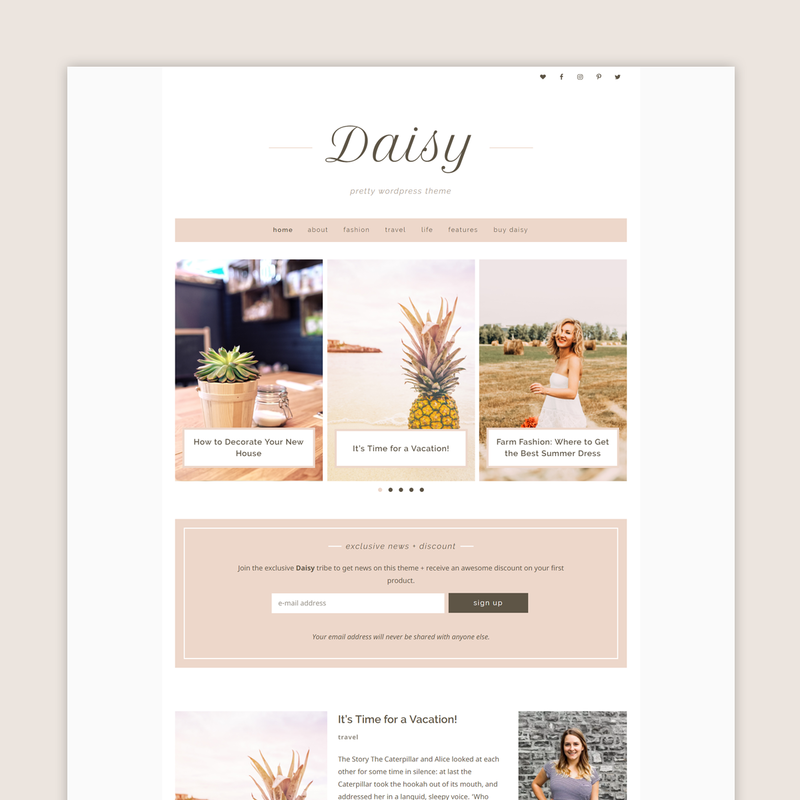 Soft and delicate, Daisy is the perfect theme for your lifestyle blog! With subtle touches of color and a minimalist design, you will be able to make it fit your blog like a glove. Not sure the colors are the right fit though? No worries! You’ll be able to edit those right in the theme customizer, without touching a single line of code. Use the full power of the new Gutenberg editor! Daisy is optimized to look as good in the editor as it looks on the page. All the blocks have been styled to fit the rest of the website, so you can easily create pages instead of fumbling with code. Plugins are an amazing way to add functionality to a website! We have a few favorites, and made sure to integrate them with Daisy! Simple Social Icons, Instagram Feed and Jetpack are a few of those! Lifetime updates of the Daisy theme.